Opening Hours: Mon - Fri : 08.30 am - 7.00 pm. The new year has just started and all people are keen to set their future for a healthy year with much less impact of stresses on their life. During Christmas and new year, although people enjoyed the festive but it has temporary changes in their life style (such as changes in diet habit with over-eating and disturbances in their sleeping pattern). However, once the Christmas and new year are over, some people usually end up with stress, anxiety, depression and with putting piles of pounds on their weight. They are worried with how to get rid of these unwanted signs and symptoms and also how to loss that extra weight and how to maintain it. Anxiety and stress may cause symptoms of pain, sleep disturbances, abnormal digestion, headaches, menstrual irregularities, aggravation of already troublesome health conditions and, over time, more serious illnesses can develop. WHAT ARE THE OTHER SIGNS AND SYMPTOMS OF STRESS? The unwanted stresses (such as emotional and/or physical stresses) are usually creating mental and physical illnesses with significant effects on general health. 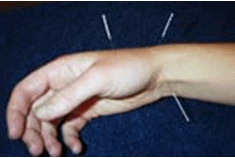 Various clinical studies have shown that acupuncture hast positive great benefits on stress and anxiety with its impact on reducing the bad hormones (such as adrenalin, nor-adrenalin ..etc) and increasing the release of good feeling hormones (such as a natural morphine “endorphin” and a natural steroid “cortisol”). Acupuncture and a healthy diet would be the best alternative treatment and prevention for all types of stresses with improving and balancing the body energy. Furthermore, recent national and international clinical research studies indicated that acupuncture is also an effective therapy for losing weight. 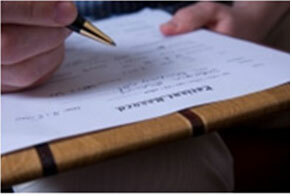 The acupuncture helps most patients to change their lifestyle. Although we do not know how the acupuncture works in losing weight but it was established that needling certain acupuncture points on the body and the ear may stimulate the release endorphins which have calming and relaxing effects. These effects can calm down the craving to food, stress, frustration and anxiety which trigger overeating and bingeing on fattening foods. The good feeling hormones (endorphins) have also some significant effects on the digestive and hormonal systems to help rebalance the body organs that are running too fast- or in this case too slow–i.e., the metabolism and the will power. The untreated stress may cause emotional, psychological, and even physical problems. In Chinese acupuncture theory, the Stress can cause disturbance in the body’s vital energy flow (or Qi,). The stress also can have bad effects on the immune system and may create new symptoms or intensify already troublesome health conditions and, over time, more serious illnesses can develop. The duration of stressful situations is very important with regards to the treatment because a chronic one (for a long period) may add a continuous pressure on the nervous system which lead to fatigue, depression, a weakened immune system and a host for serious physical and psychological ailments. The acupuncture works in these cases by addressing the blocked energy and helping the body vital.energy (Qi) to flow freely and smoothly. Accordingly, it will alleviate the symptoms of blood circulatory system which leads to oxygenating the tissues and eliminating the stress hormones like cortisol and other waste chemicals. Furthermore, the calming nature of acupuncture also decreases heart rate and lowers blood pressure stress and anxiety, but also to control the stress and anxiety itself. The acupuncture also has a wide range of tools and techniques that can be integrated into your wellness plan to keep stress in check. HAY FEVER is a seasonal allergy triggered by allergic reaction to pollens that are spread by the wind. It is usually occurred during spring, because of new growth on trees and weeds, which ushers in a whole different set of blooming plants. All patients with HAY FEVER are also allergic to dust mites, animal dander, and molds. The signs and symptoms affect mainly the membrane lining the nose, causing allergic rhinitis, or the membrane lining the eyelids and covering the whites of the eyes, causing allergic conjunctivitis. what are the acupuncture treatment steps in these cases? On the first day of the patient visit, there will be a full consultation to find in more details the pattern of overeating as well as any digestive examine the general state (particularly difficulties or problems. Sometimes it needs to have a pulse diagnosis to the stomach energy) in order to provide us with some vital information to why the person was gaining weight. The acupuncture treatment will consist the needling of specific ear and body acupuncture points. 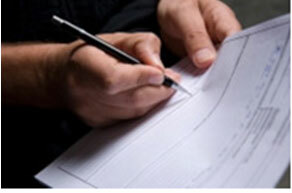 The treatment depends on certain factors such as the patient’s personality profile of overeating. In addition to Manual acupuncture and electrical stimulation of certain acupuncture points may be used in order to increase the level of endorphin and also to stimulate the metabolism. 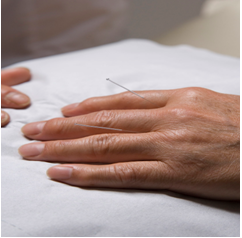 In manual acupuncture, the needles would be left in place for up to thirty minutes depending on how much support was needed for the patient. The duration of the treatment course and the number of acupuncture sessions will be based on the patient's targets for losing weight, how quick the patient wants to lose weight, and the commitment to keep the weight off. In severe cases of overeating, the course of treatment will be twice weekly for at least 6-9 weeks and then a booster treatment once every two weeks is needed to maintain it. Although dieting represents a big problem for many people and sometimes making even little changes can cut it down to size. Who, for example, would think that switching brands of ice cream can save you calories? Well, it can. Go for the inexpensive Brand X-it has less fat in it. Acupuncture can help to control the appetite and craving for extra food as well as to improve the metabolism. However, once again the diet and healthy food play a major role in losing weight. .
Book for best Acupuncture Doctor in UK, try our special offers and packages of Acupuncture treatment at one of our ACUMEDICA Clinics in London and Nuffield Hospitals (in Stoke on Trent, Derby and Wolverhampton)..
What is the side effects of acupuncture? What should I do after acupuncture treatment?